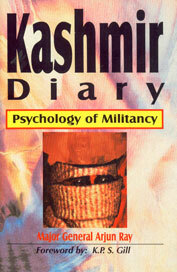 Three; Kashmir Diary is not a manual on counter-insurgency. Rather, it chronicles a strategy of how to conduct the information-war to win the hearts of the people. 2. Unlike conventional wars which are two-dimensional, one nation-state vs. another nation state, low intensity conflict is Trinitarian, the trinity of government, terrorists and people. In this 3-D equation, political power no longer comes out of the barrel of a gun. This is an outdated Marxist idea of Cold War era. With globalization and common mans empowerment, even knowledge is not power. Rather, in a participative democracy, it is people who are power. 3. The book is in three parts. The first deals with terrorists and covers the theory of terror, the mentality of a terrorist, and the correlationship between aesthetics and revolutionary psyche. 5. The author's findings also conclude that, disregarding the lumpen elements that have criminalized terrorism, terrorists are not criminals or psychopaths or men with twisted minds. They are as normal and non-fanatic like the next door neighbor, but with a different psycho-logic of their own. The run-of-the-mill terrorist is illiterate, emotionally insecure, has a low IQ, low frustration tolerance and a weak ego. A 16 per cent increase from 1989, in the number of 'madrassas' (religious seminaries) run by Jamaatis. 40 per cent of the newsprint space in Vernacular papers is devoted to Islam. Analysis of speeches delivered in mosques indicates that 64 per cent of what is said is in praise of Islam and denigration of India, with only 36 per cent of the remainder being devoted to prayers. The ethnic cleansing of nearly 2,48,000 Kashmiri Pandits. 'Media management' is a dirty word because managing means imposing controls. Media cannot and must never be managed because information can no longer be controlled. Information is neutral; it transcends secrecy and even geographical and cultural frontiers. Moreover, every citizen has a right to know of what is happening. In 1984, Spain outlawed the publishing of material describing terrorist activities. This too did not yield results. Closer to home, in Srilanka, the Supreme Court had asked the government to reconsider the Broadcasting Bill that virtually imposed censorship. It is the author's firm belief that cooperation with the media is the only way out, since media is an institution of the state, and the demise of the media will signal the demise of democracy and a free way of life. Cooperation is possible provided the government and the military practice openness in sharing information. On their part, media persons must exercise "voluntary self restraint" based upon guidelines issued by their respective editors. 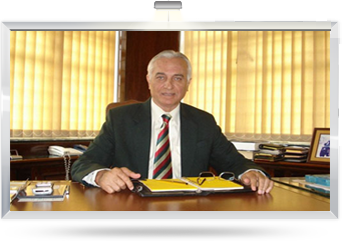 Mobilizing public opinion by focusing on grievances - political, ethnic and economic. Acting as citizen's watch dog on human rights violations by security forces and also by terrorists. Keeping people informed of the ground situation. Providing a catalyst for political rapprochement by persuasive writings. Government's relationship with all types of media - national, vernacular and international. Role of media with regards to socio-political and economic development and national security. Policy on executive controls within the ambit of Article 19 (1) which covers the freedom and independence of the media. Ethical reporting based upon self-regulatory measures. Laws on right to information. Providing new service facilities in regional languages to overcome the problem of filling space. Improving the reach and quality of news agencies abroad, especially in India's neighboring countries (to disseminate Indian news). Redress the imbalance between reporting on urban and rural issues. 11. The need for professional training of media persons, especially TV, has been highlighted. This is something that the private sector could take on immediately. After basic media training one would like to see emphasis upon niche journalism, i.e., subject journalism and greater opportunities for sabbaticals for journalists, both within and outside India. Continuous education for correction of perceptions about the local populance. Winning the hearts of the populance is possible provide the soldier understands the local psyche. Mental adaptability of the contradictions in low intensity conflict especially the concepts of 'enemy', 'objective', 'force' and 'victory'. Religious fundamentalism - strategy, objective and themes, and how to fight them. Prevailing socio-economic and political conditions. Impact of terrorism on the region's economy. The 'Bean-Count' game is counterproductive. You simply cannot rule over a graveyard. You may defeat the body; you cannot destroy the spirit. The more you kill, the more you irrigate the revolution. Killing - some killing is necessary to bring down violence to manageable levels; but killing can never be the aim. 13. Common soldiers and policemen are not adequately equipped mentally and even weaponry wise, to fight highly trained, equipped and motivated terrorists. As a result, their responses are often ham-handed leading to excesses being committed. There is thus a requirement for all security forces, including the police, to raise special units which should be officer-oriented comprising of soldiers with good EQ, higher educational standards and mental adaptability. These units ought to be equipped with 'soft-kill' and 'non-lethal' weaponry. They should also have powers to investigate and arrest. If such forces are made available, human rights abuses will reduce significantly. 14. The author holds the view that, there should be no hurry in fighting a protracted war since, it takes time to win over alienated people. Regrettably, the military-mind often falls prey to its Time Clock. While in conventional warfare military operations are time bound, in low intensity conflict the bandwidth has to be large. Patience is therefore a virtue. 15. The spirit of the Book underscores the reality that, in Kashmir, and even in the North East, the centre of gravity must be the people and not the terrorist. Regrettably, this idea has been lost in favor of an 'armed solution'. While security forces must bring down violence to manageable levels, the major thrust of India's politico-military strategy must be towards winning the battle of the hearts. History has a lesson for those who ignore this eternal principle; it is possible to win all the tactical battles and yet lose the war like it happened in Vietnam, Afghanistan, and to a fair extent in Chechnya. 16. Winning the information battle is infinitely more difficult than fighting the terrorist. This is because people, government, security force and even terrorists, are driven by attitudes, by perceptions, by beliefs, by culture, by mass media. This is what the Book is all about - how political violence affects the minds of all the principal actors, how the information war must be waged, and what mental preparations are required for soldiers. 17. While the 20th Century belonged to the armored soldier, the 21st century will belong to that 'information-man'. In the new millennium - the age of mind over matter', media and information will play a pivotal role, and security forces will need a completely new role and training curriculum. A clear understanding of these three facts is the need of the hour.